The team at Victoria Garage Penarth, are gearing up for another year, with a new set of road trips just a few hours away, and perfect for spur-of-the-moment day trips. There’s always an adventure to be had, and our picks this season shine a light on those attractions a little more mysterious. Enjoy! Nestled in the Wye Valley, the A-mazing Hedge Puzzle is a great way to entertain the family this Spring. 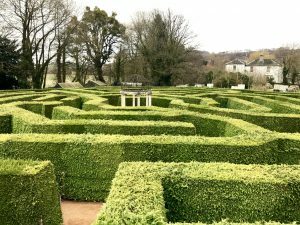 Planted in 1977, the maze is built around a romantic temple and contains over a kilometer of hedges. Great fun for those who like to find their way through a puzzle or those who want to sit and watch the entertainment from a raised viewing platform. Tickets are £3.75 for adults and £2.75 for kids and the visitor centre also has mini golf and a butterfly zoo! 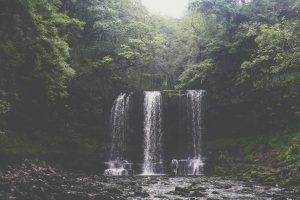 Brecon Beacons National Park isn’t short of adventures, from hiking, caves, castles, breathtaking views and stunning landscapes. The waterways are also a must-see for anyone who likes taking in the Spring air. 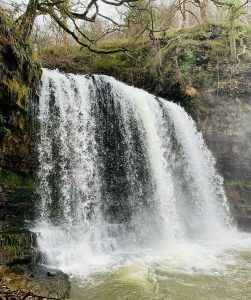 Running through Fforest Fawr is Waterfall Country boasting four specular waterfalls. 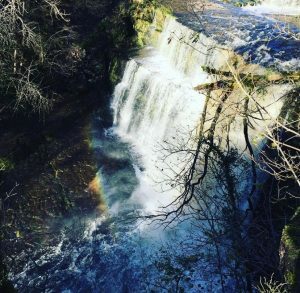 Known for its landscape of old red sandstone and limestone, which has created an environment of wooded gorges, caves, swallow holes and waterfalls, the trail leads to its most famous waterfall; Sgwd-y-Eira (The Snow Waterfall). Worth the walk, you can follow a path behind the curtain of water, definitely an adventure to tick off the list this spring. We recommend a good pair of wellies! 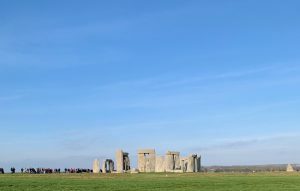 Just over 2 hours by car, Stone Henge is one of the pre-historic wonders of our world. Lying in the unchanged Neotholic landscape, the impressive structure attracted over 1.5 million visitors in 2017. The stones on average reaching 13 feet high are believed to be have been constructed between 2000-3000 BC. 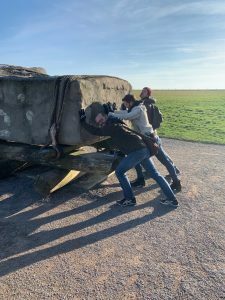 Transported from the Preseli Hills in Pembrokeshire, it’s the perfect answer to finding a bit of Welsh history combined with British engineering at it’s best. Pre-booking is recommended via the website during peak times. There’s also a Stone Henge museum on site that holds a 5,500-year-old man!